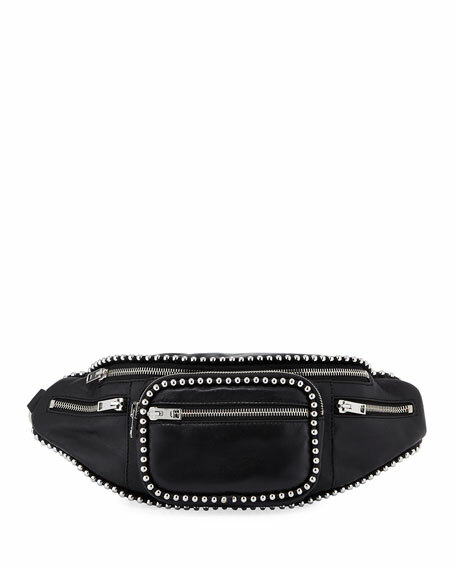 Alexander Wang leather belt bag with ball-stud trim. 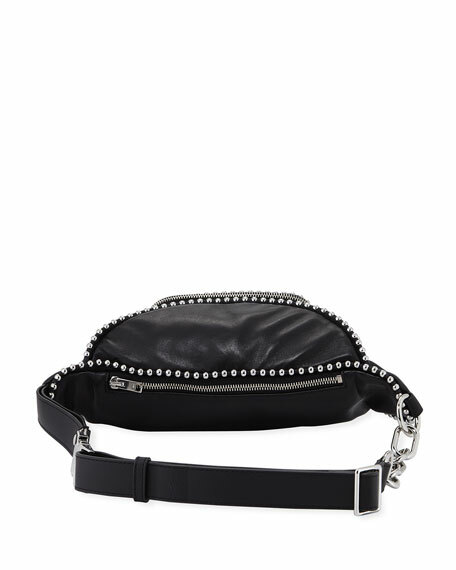 Chain and leather strap secures around waist. 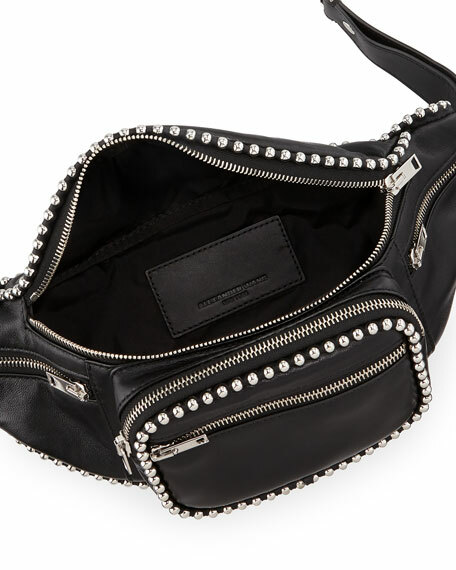 Exterior, four front zip pockets. 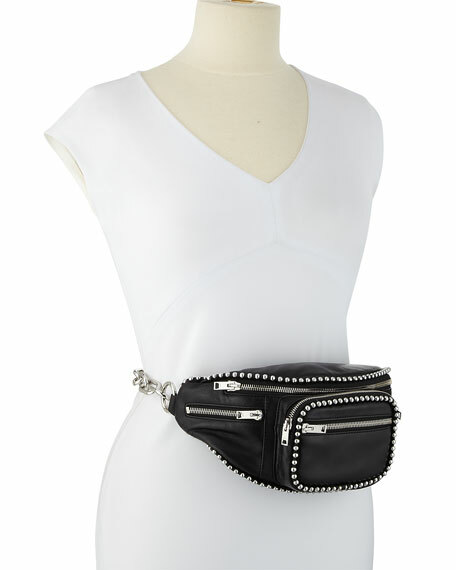 For in-store inquiries, use sku #2575538.